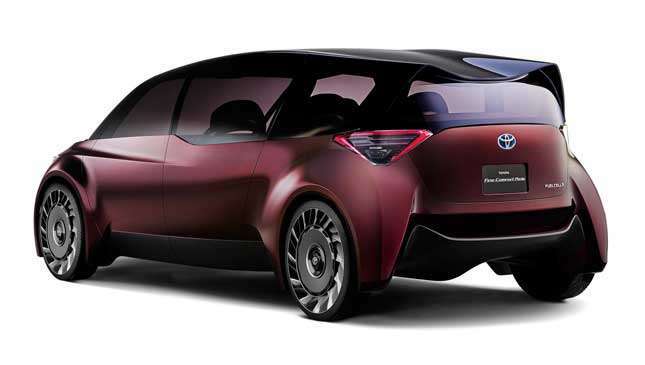 Toyota is absolutely on it with the Tokyo Motor Show concepts. 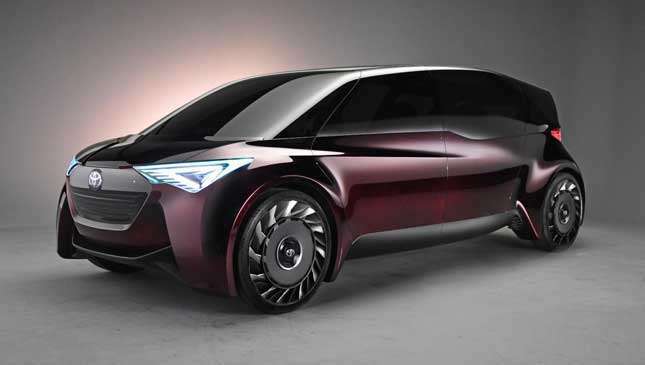 All Japanese carmakers see their biennial home fixture as a chance to show off, but Toyota is revealing a new concept almost daily at the moment. 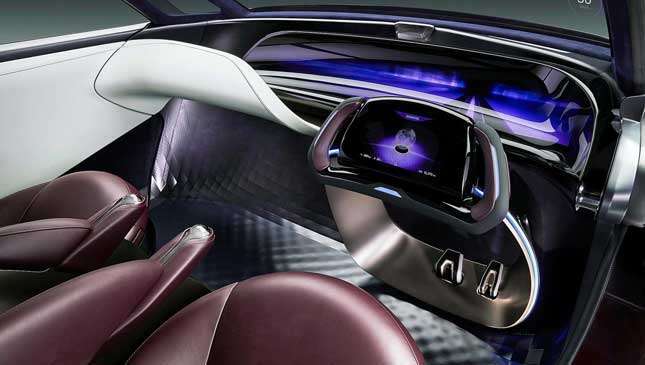 The latest is this, the Fine-Comfort Ride concept. 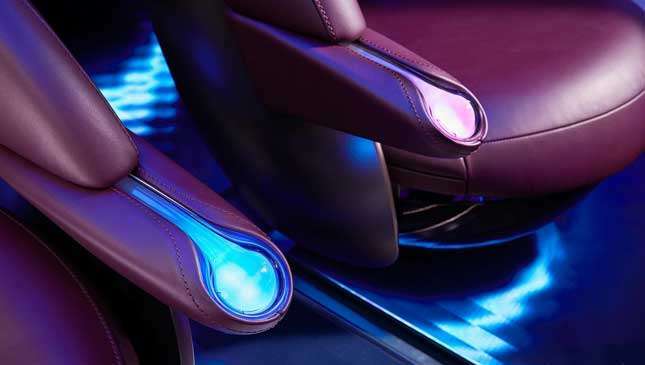 The initials of Fine-Comfort also, probably not coincidentally, represent its fuel-cell powertrain. 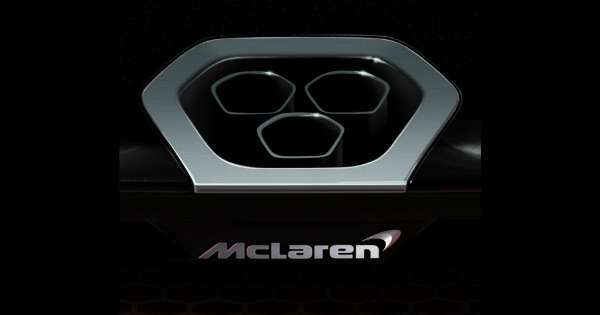 Each wheel packs its own electric motor, while the batteries that power them are fed by hydrogen. 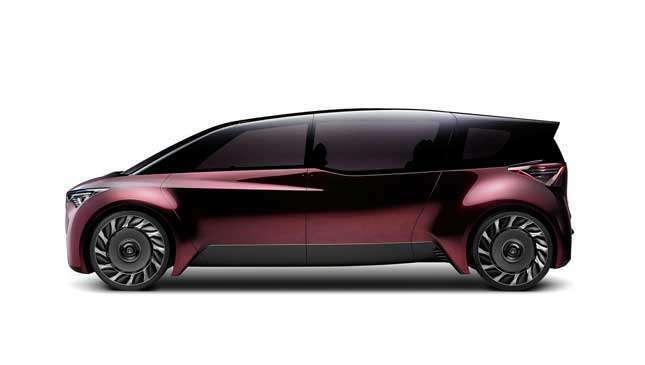 So it should drive like an EV but will be filled at a pump, with a claimed range of 600 miles (966km). Try that in a Tesla. Toyota makes a fuel-cell car now—the Mirai—but this one is quite different. 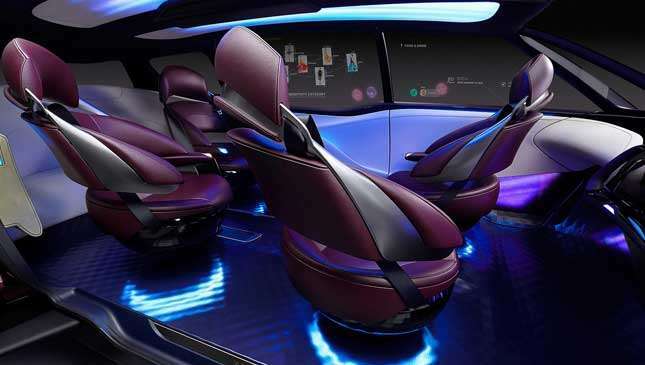 Putting the motors in the wheels has freed up a lot of interior space, and Toyota dubs the Fine-Comfort Ride as a “new form of premium saloon.” The cabin is wider than usual where the front rows of passengers sit, while narrowing to the rear to help the body carve through the air. 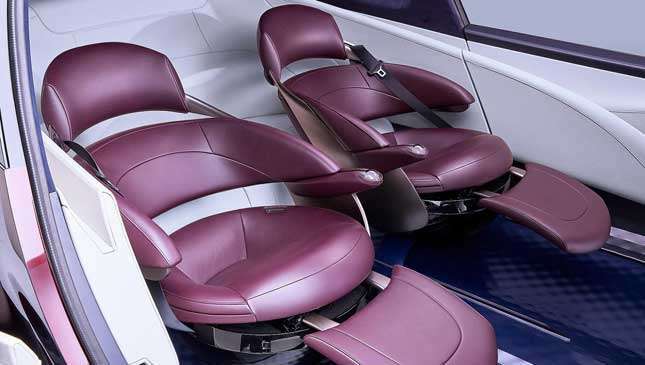 The seats are hugely adjustable to their user’s posture—they appear to be as adjustable as a business class plane seat, with a similarly bold trim—while the interior is free of traditional trim and buttons, with displays galore. Even the windows can be used as screens, it seems. 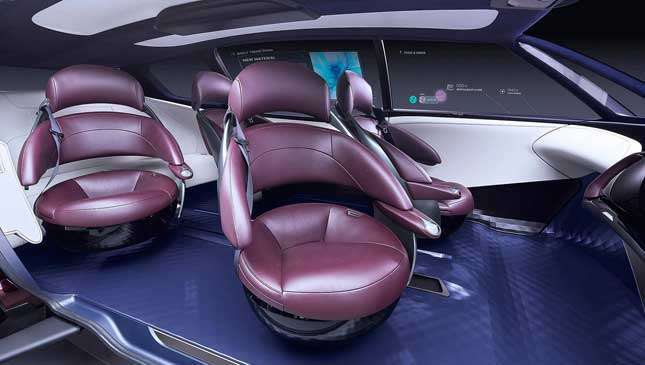 The Fine-Comfort’s shape suggests it could be a big seven-seater, though the concept only has four proper seats inside, with a cramped looking bench at the rear. 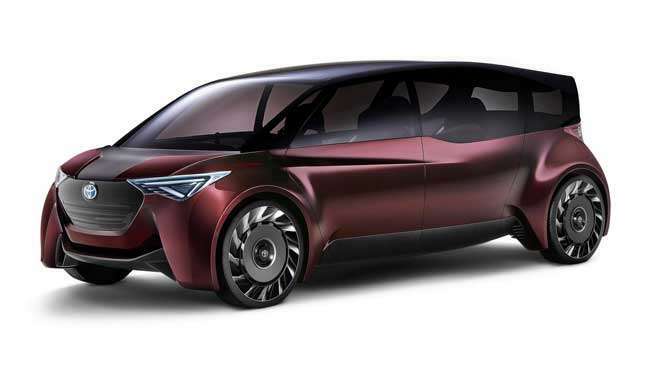 We suspect a production version is unlikely, and suspect this concept is a taster for both fuel-cell tech and the way Toyota wants its cabins to advance. If it’s not floating your boat, then worry not. 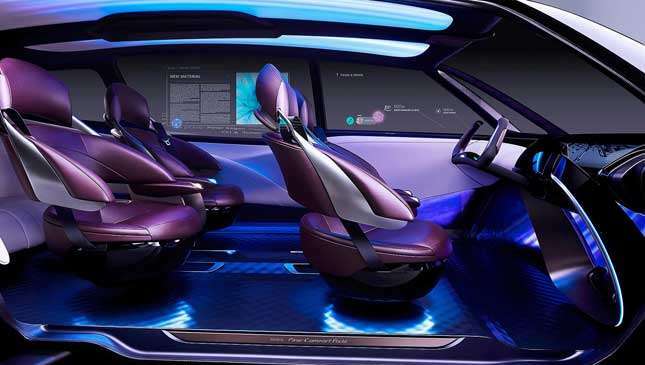 Toyota’s Tokyo stand will also contain a hybrid sports car that looks a bit like a Lancia Stratos, some artificially intelligent Segway-alikes, and the Tonka-inspired TJ Cruiser. And Top Gear will be there to sample them all first hand.